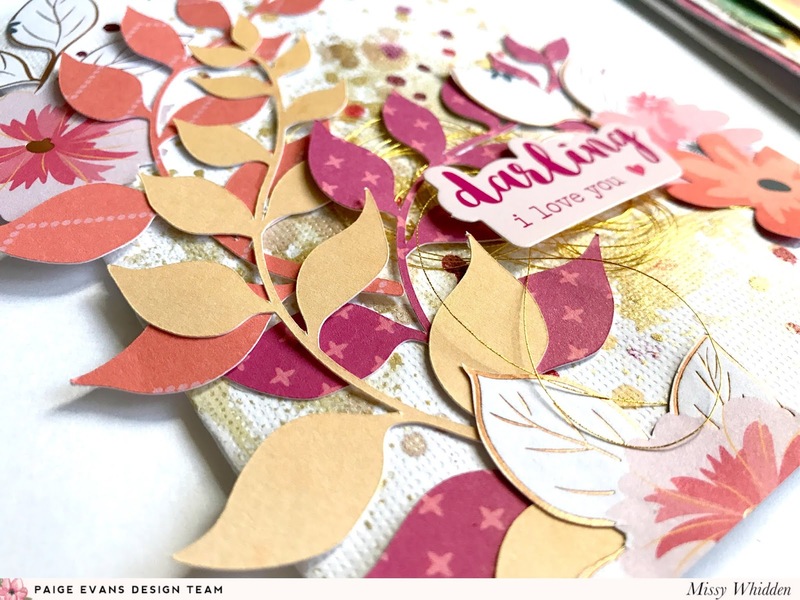 Hey, friends, Missy Whidden here with a couple cards featuring the new Whimsical collection. I used two of Paige’s cut files on these cards along with a little mixed media. For the first card, I cut Paige’s Branch cut file on papers from the 6x6 Paper Pad. I really love the deep pink, orange, and golden yellow color mix. I used a white cardstock base for the card so the colors would pop. I jazzed up the background with Heidi Swapp Gold Color Shine and a few coordinating colors of Shimmerz sprays. I fussy cut flower clusters from Paper 03 and layered them in between the branches. I went simple with the sentiment and used a Sticker. I added foam adhesive under it to add dimension and tucked in metallic gold thread before gluing everything down. For the second card, I cut Paige’s Beautiful cut file on white cardstock. I backed all the letters with papers from the 6x6 Paper Pad and one of the 2x2 Paper Pads. I used more 6x6 papers to create a few layers behind the cut file. I smudged white gesso on the background papers before painting on blue, purple, and yellow watercolors. I wanted flowers behind the cut file, so I fussy cut some from Paper 14 and layered them around the edges of the card. To add more detail and shine, I machine stitched around the edge of the paper layers and tucked in metallic gold thread under the cut file. How often do you make cards? 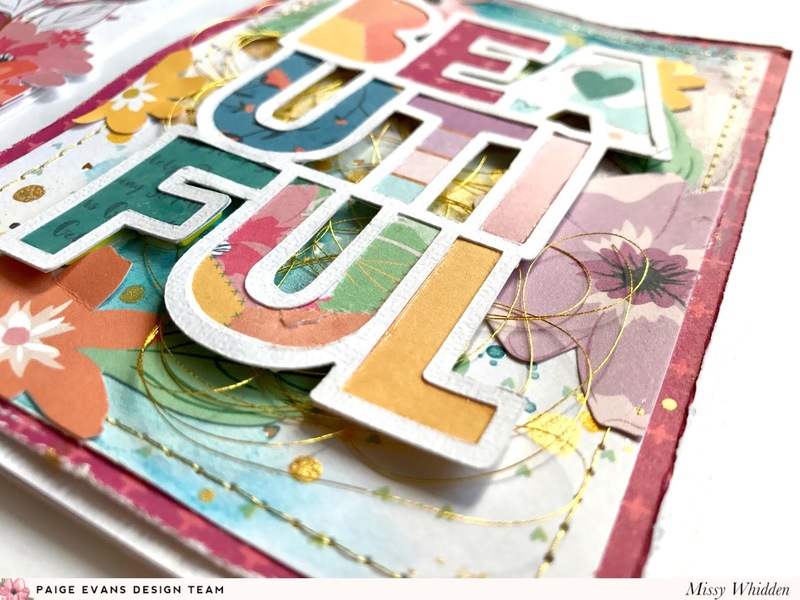 The Whimsical collection is perfect for cards and it’s fun to mix in Paige’s cut files, too! I hope this gives you some fun ideas to try. Thanks so much for stopping by! BEAUTIFUL indeed!!! These are STUNNING!!!!!!!!!!!!!! !